St. John Kanty Church - Buffalo, NY > News > Events > Parishioner Appreciation Hot Dog Roast on August 12! 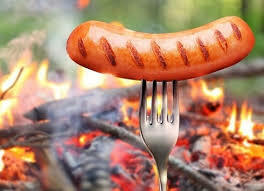 Parishioner Appreciation Hot Dog Roast on August 12! Parishioner Appreciation Hot Dog Roast following 10:30 Mass. Wander back to the yard and for a buck get a grilled hot dog/chips/beverage. Children under 12 are free! Please join us…all are welcome! !